Dad-to-be Mark Wright was stunned when he looked at the pregnancy scan of his unborn baby – and saw an image of his DEAD FATHER staring back at him. 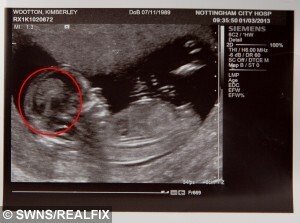 His pregnant girlfriend Kimberley Wootton went for a 22-week check-up when the ghostly image was captured on the monitor. 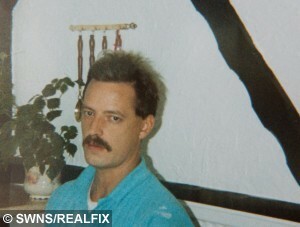 When the couple were showing the scan pictures to a friend they suddenly saw the eerie image of Mark’s late dad Chris – complete with his distinctive moustache. 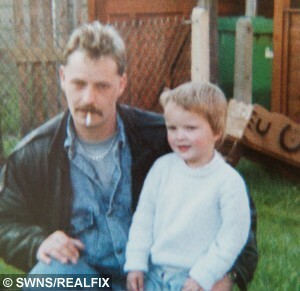 Chris, a factory worker, tragically died of a heart attack aged just 31 in December 1992 when Mark was seven years old. and were again struck by the close resemblance of the tot to her late grandfather. 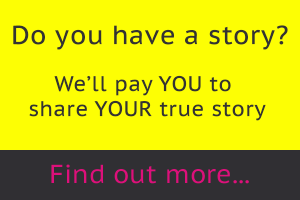 Mark, 30, a carer, said: “It’s like my dad is my guardian angel watching over us. “I was only very young when my dad died which was hard to adjust to but I was absolutely shocked when I saw the image of face in Amiyah’s scan. “Kimberley had been showing her friend an old baby scan picture of Amiyah when her friend pointed out the face. “She ran straight upstairs to get a picture of my dad and when she showed me the two photos together I couldn’t believe it. Chris’ face – along with his distinguishable moustache and hair line – are clearly visible in the left hand side of Amiyah’s head. The couple, who have another five-year-old daughter Skylah and live in Bulwell, Nottingham, went for the scan in March 2013 but only discovered the uncanny resemblance last week. Full-time mum Kimberley added: “It was freaky, we’d had the scan picture for a while but put them in a memory box for Amiyah.